First of all, congratulations on the big launch! 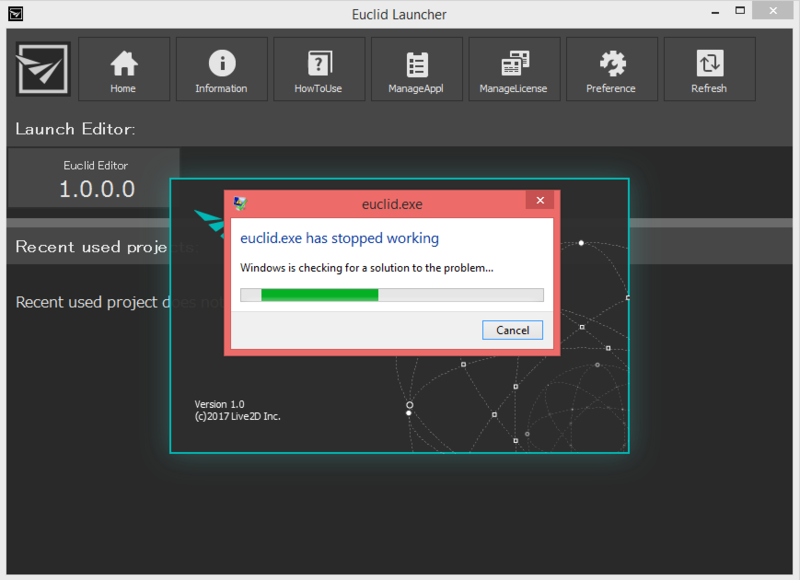 Sadly, after installing everything and activating my trial for Euclid, the program crashed immediately Can I provide you with any kind of system specs to help resolve this matter? Unfortunately, this did not work. I hope someone else has a solution quick. Unfortunately re-installing also did not work for me. I have emailed my crash report along with the event log and my system specs to support, so hopefully they can soon help resolve this issue! It worked fine on startup for me. It shouldn't be because someone else uninstalled and reinstalled and it worked after it crashed. The system requirements strongly recommends 64-bit WIN-7/10 and only recommends an i7 processor and at least 16GB of ram and a GPU equivalent of GTX 750 TI or AMD 5850. I hope that it will possibly work on an I5 or Ryzen and that they bring down the requirements in the future for everyone. 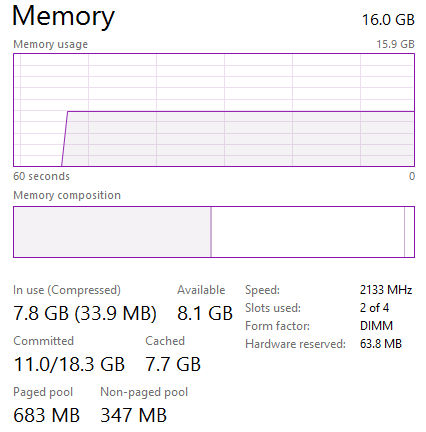 Here is my ram usage which easily eats up 7GB- which tells me those with less than 8GB may have a harder time running the program. 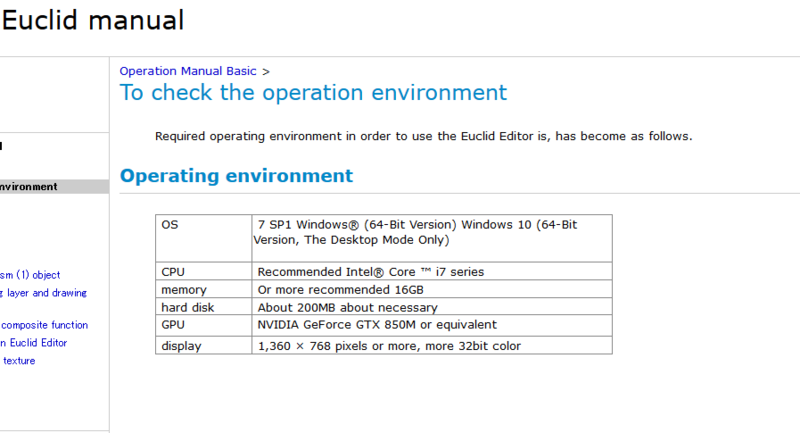 Here are the requirements in the manual and main page for Euclid Editor.